Beautiful mini farm 7.92 Acres in the heart of West Cobb!Stately 4 sided brick home w full finished basement! 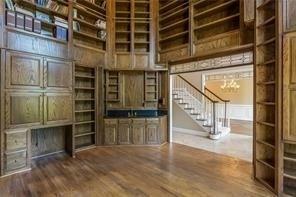 inside you will find a 2 story solid wood library! 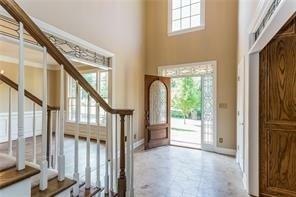 Large Formal DR, huge family room open to large kitchen. 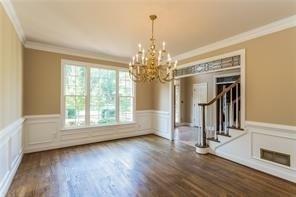 Oversized master w sitting room, his/hers closet, jetted tub and more! Terrace level finished w media room, wine cellar, bdrm and full bath. Deck stretches entire back of home and overlooks a creek, barn, green house out building and more. Perfect for horses, goats, small mini farm.This is perfect w water, pasture, garden area! Some updating would perfect!